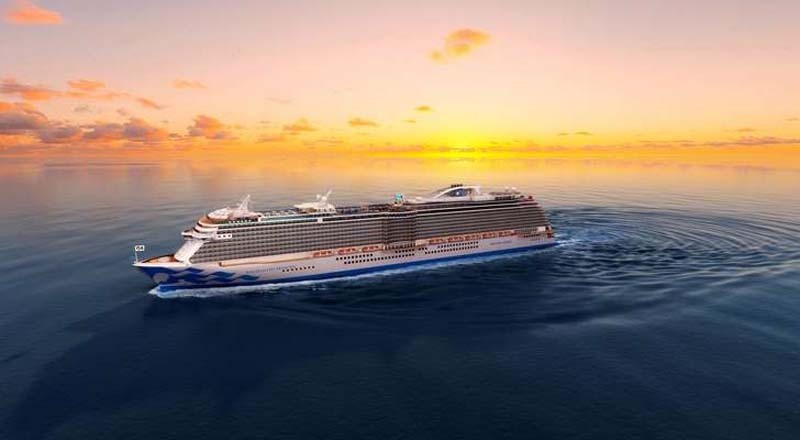 Princess Cruises revealed Monday that when its new ship, the Enchanted Princess, debuts in June 2020, it will sail its inaugural season in the Mediterranean. Company officials also announced the vessel will be named in Southampton, England. The Enchanted Princess will feature Sky Suites, which are centrally located on the top deck of the vessel and boast the largest private balconies ever offered by the cruise line. The Sky Suites’ balconies measure 700 square feet and provide passengers with a private vantage of the ship's Movies under the Stars screen. The two suites will also offer a 270-degree panorama and have a sleeping capacity for five guests, making them ideal for families. Enchanted Princess sailings go on sale November 8. “With our new Sky Suites and enhanced dining and relaxation features on Enchanted Princess, we are continuing our commitment to offer new and expansive passenger spaces that meet the needs of our guests who wish to explore the world and connect with each other,” Princess Cruises president Jan Swartz said in a statement. When Enchanted Princess debuts in the Mediterranean in June 2020, the ship will feature a Wakeview pool, a relaxing Sanctuary area, private cabanas, an Italian-inspired Piazza, over-the-ocean glass, and Broadway-caliber shows performed in the Princess Theater. The ship will also feature elite restaurants and bars, including Salty Dog Gastropub, Sabatini's Italian Trattoria, The Princess Live! and Café and more.